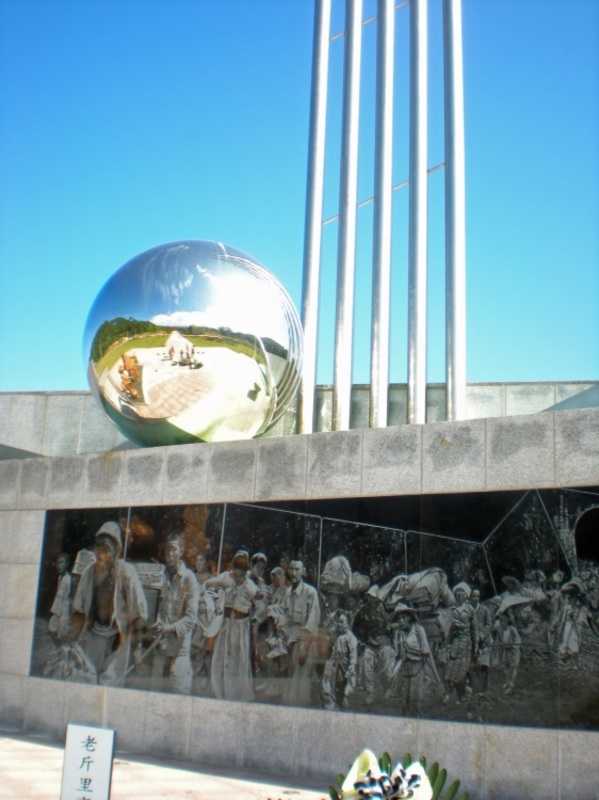 On the 70th anniversary of the division of the Korean peninsula, the Korea Policy Institute, in collaboration with The Asia-Pacific Journal, is pleased to publish a special series, “The 70th Anniversary of the U.S. Division of the Korean Peninsula: A People’s History.” Multi-sited in geographic range, this series calls attention to the far-reaching repercussions and ongoing legacies of the fateful 1945 American decision, in the immediate wake of U.S. atomic bombings of Japan and with no Korean consultation, to divide Korea in two. 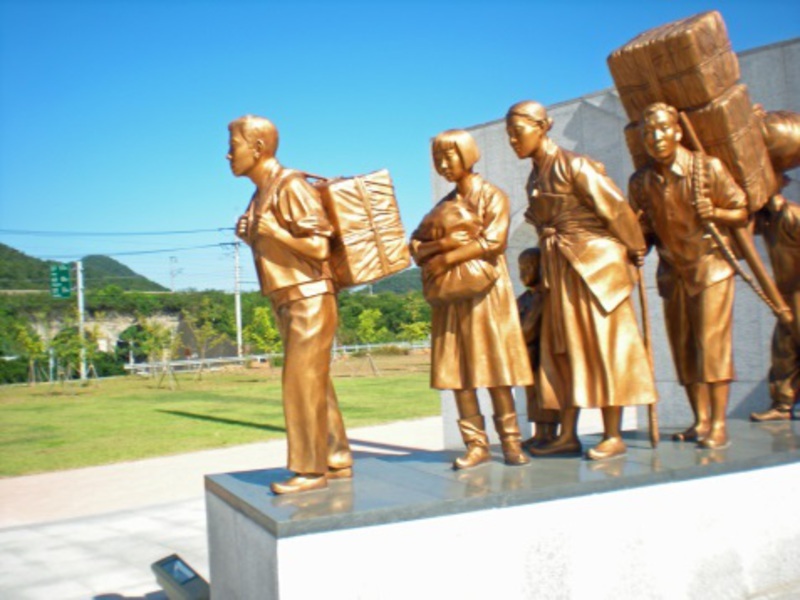 Through scholarly essays, policy articles, interviews, journalistic investigation, survivor testimony, and creative performance, this series explores the human costs and ground-level realities of the division of Korea. In Part 1 of the series Hyun Lee interviews Shin Eun-mi on The Erosion of Democracy in South Korea. 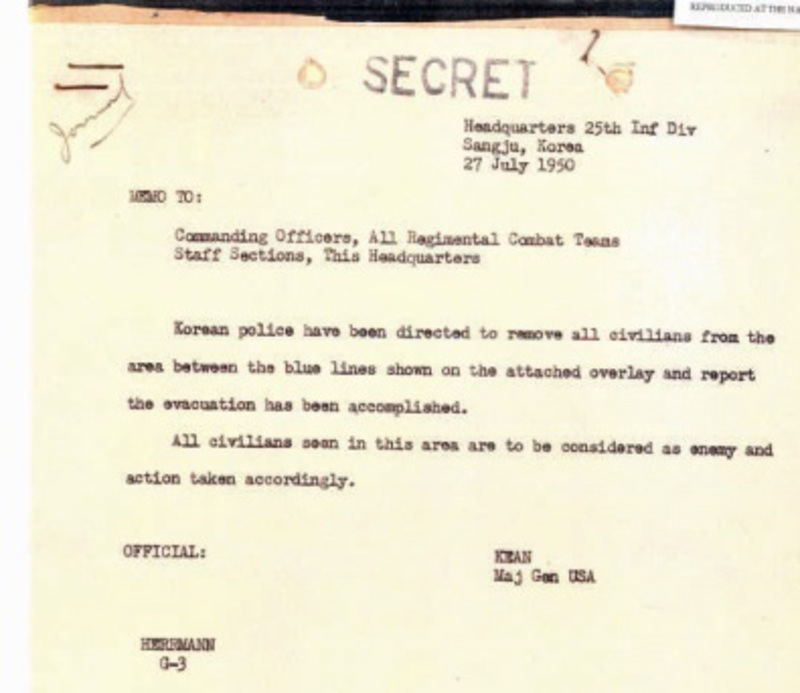 But these suppressed archival documents, showing U.S. commanders ordering troops to fire on civilians out of fear of enemy infiltrators, are now on display at the peace park’s museum, illustrating a growing divide in how No Gun Ri will be remembered – or not – on two sides of the Pacific. Rogers wrote that “the Army has requested that we strafe all civilian refugee parties that are noted approaching our positions. To date, we have complied with the Army request in this respect.” He took note of reports that enemy soldiers were infiltrating behind U.S. lines via refugee columns, but said the strafings “may cause embarrassment to the U.S. Air Force and to the U.S. government.” He wondered why the Army was not checking refugees “or shooting them as they come through if they desire such action.” Rogers recommended that Air Force planes stop attacking refugees. Nothing has been found in the record indicating the memo had any effect, and the No Gun Ri slaughter the next day began with just such an air attack. In this way, the report that stands as the official U.S. record of a supposedly legitimate investigation disposed of one highly incriminating document. Again, the Army investigators of 2001 had to grapple with this explosive document, since it had been reported in the original AP story on No Gun Ri. And so they simply chose to write of this order, “There is nothing to suggest any summary measures were considered against refugees.”8 They suggested that when Kean said civilians should be treated as enemy, he meant front-line combat troops should “arrest” this supposed enemy, not shoot him—an implausible scenario in the midst of a shooting war. 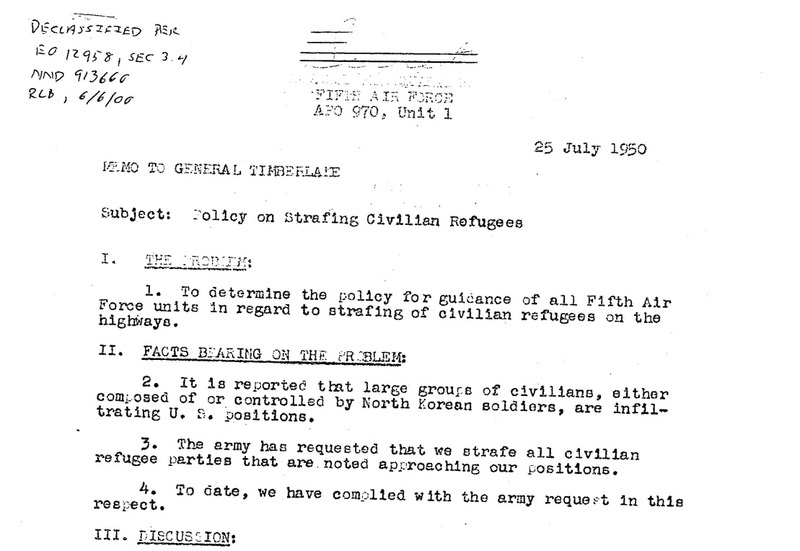 headquarters document that said flatly that Kean’s order meant “civilians moving around in combat zone will be considered as unfriendly and shot.”9Other, similar communications were relayed across the division area, including one in which Kean “repeated” instructions that civilians were considered enemy and “drastic action” should be taken to prevent their movement.10 These, too, were suppressed by the Army investigators of 2001. Perhaps the most important document excluded from the U.S. Army’s 300-page No Gun Ri Review was a U.S. Embassy communication with Washington that sat unnoticed for decades at the National Archives. 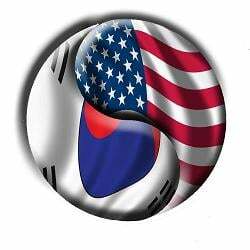 In 2005, American historian Sahr Conway-Lanz reported his discovery of this document, a letter from the U.S. ambassador to South Korea in 1950, John J. Muccio, to Dean Rusk, then-assistant secretary of state for Far Eastern affairs, dated July 26, 1950, the day the killings began at No Gun Ri.11 In it, Muccio reported to Rusk on a meeting that took place the previous evening among American and South Korean officials, military and civilian, to formulate a plan for handling refugees. He wrote that the South Korean refugee problem “has developed aspects of a serious and even critical military nature.” Disguised North Korean soldiers had been infiltrating American lines via refugee columns, he said, and “naturally, the Army is determined to end this threat.” At the meeting, he wrote, “the following decisions were made: 1. Leaflet drops will be made north of U.S. lines warning the people not to proceed south, that they risk being fired upon if they do so. If refugees do appear from north of U.S. lines they will receive warning shots, and if they then persist in advancing they will be shot.” The ambassador said he was writing Rusk “in view of the possibility of repercussions in the United States” from such deadly U.S. tactics. The letter stands as a clear statement of a theater-wide U.S. policy to open fire on approaching refugees. It also shows this policy was known to upper ranks of the U.S. government in Washington. Washington’s sensitivity on the Muccio letter is seen in a 2006 cable sent by then-Secretary of State Condoleezza Rice to the U.S. Embassy in Seoul, found in the Wikileaks dump of State Department cables. Rice suggested the South Koreans would not get an explanation in writing of the handling of the Muccio letter, as requested.14 Presumably that would enable further obfuscation as necessary. The suppressed documents were later found in the Army investigation’s own processed files at the National Archives; the ex-soldiers’ transcripts were obtained via Freedom of Information Act requests. But the memory divide—East and West—can only grow. In the United States, the Korean feature film, A Small Pond, found no distributor. The graphic narrative, though translated into French and Italian, has not been published in English. Kill ‘Em All, a hard-hitting BBC documentary on No Gun Ri, aired in Britain in prime time yet was shunned in America.22 Two years after the Army’s deceitful report, a Pentagon-affiliated publisher issued an Army apologist’s polemic on No Gun Ri, an often-incoherent book packed with disinformation.23 In the English-language Wikipedia, the “No Gun Ri Massacre” article became a Wikipedic free-for-all between jingoistic denialists and the truth. Finally, ironically around the time the Korean park was opened in 2011, the U.S. Defense Department purged from its website the Army’s investigative report, further pushing No Gun Ri toward official oblivion. Charles J. Hanley is a retired Associated Press correspondent who was a member of the Pulitzer Prize-winning AP reporting team that confirmed the No Gun Ri Massacre in 1999. 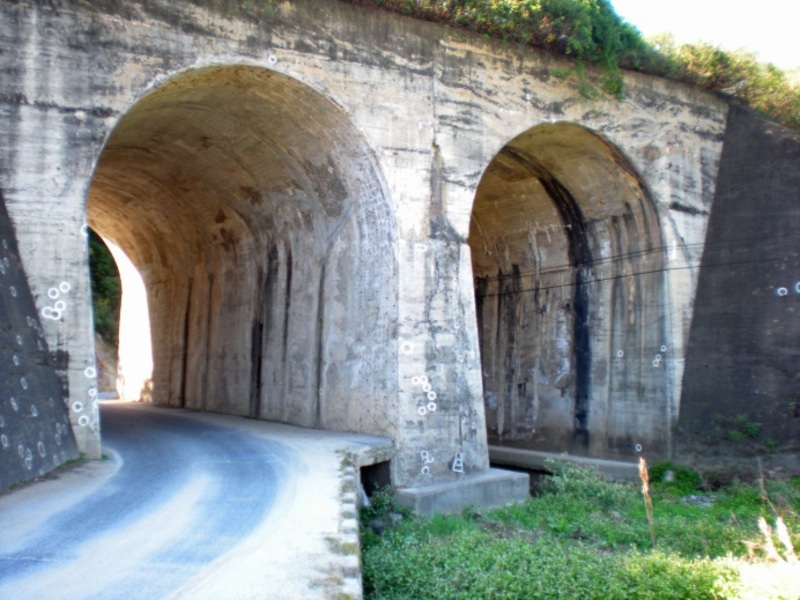 He is co-author of The Bridge at No Gun Ri (Henry Holt and Company, 2001). Recommended citation: Charles Hanley, “In the Face of American Amnesia, The Grim Truths of No Gun Ri Find a Home”, The Asia-Pacific Journal, Vol. 13, Issue 9, No. 3, March 9, 2015. 1 Information about the No Gun Ri Peace Park was obtained during a visit by author in September 2014. 2 Charles Hanley, “No Gun Ri: Official Narrative and Inconvenient Truths.” Critical Asian Studies 42:4 (2010): 589–622; also in Truth and Reconciliation in South Korea: Between the Present and the Future of the Korean Wars, ed. Jae-Jung Suh (London and New York: Routledge 2013),68–94. 3 Suhi Choi, Embattled Memories: Contested Meanings in Korean War Memorials (Reno: University of Nevada 2014), 17. 4 See Charles J. Hanley, Sang-Hun Choe, Martha Mendoza, The Bridge at No Gun Ri (New York: Henry Holt.2001), 286. See also Hanley, Critical Asian Studies, 609. 5 See Hanley, “No Gun Ri: Official Narrative and Inconvenient Truths,” 607. 6 The U.S. Army investigation’s handling of these three documents is detailed in Hanley, Critical Asian Studies, 599-609. 7 Office of the Inspector General, Department of the Army, No Gun Ri Review (Washington, D.C. January 2001), xi, 98. 8 Office of the Inspector General, Department of the Army, No Gun Ri Review, xiii. 9 Hanley, “No Gun Ri: Official Narrative and Inconvenient Truths,” 609. 11 Sahr Conway-Lanz, “Beyond No Gun Ri: Refugees and the United States Military in the Korean War”. Diplomatic History 29:1 (2005): 49-81. 12 “US Still Says South Korea Killings ‘Accident’ Despite Declassified Letter,” Yonhap News Agency, 30 Oct. 2006; Hanley and Mendoza, “1950 ‘Shoot Refugees’ Letter Was Known to No Gun Ri Inquiry, but Went Undisclosed,” The Associated Press, 14 April 2007. 13 Conway-Lanz, Collateral Damage: Americans, Noncombatant Immunity, and Atrocity after World War II (New York: Routledge 2006), 99. 14 U.S. State Department cable. 31 August 2006. “Response to Demarche: Muccio Letter and Nogun-ri.” From Secretary of State Condoleezza Rice to U.S. Embassy, Seoul. 16 Hanley, “No Gun Ri: Official Narrative and Inconvenient Truths,” 609-610. 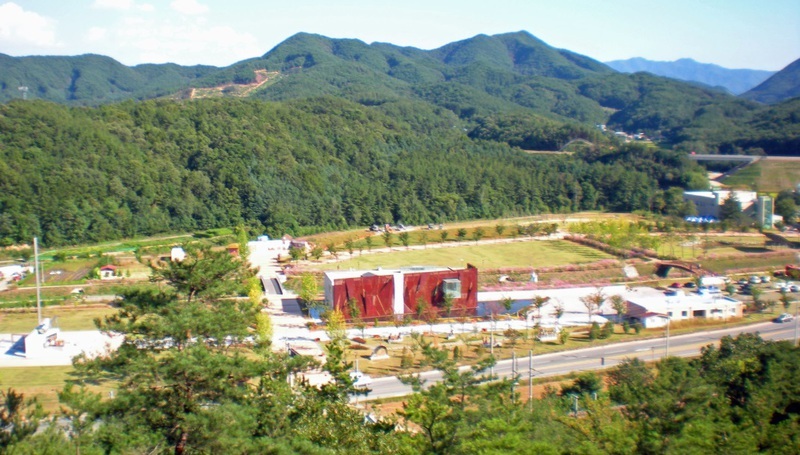 21 “Welcome Address,” “Tragic Memories of the No Gun Ri Victims’ Community,” Report of the 8th International Conference of Museums for Peace, Sept. 19-22, 2014, The No Gun Ri International Peace Foundation. 22 British Broadcasting Corp., Kill ‘em All, Timewatch, 1 Feb. 2002. 24 John Tirman, The Deaths of Others: The Fate of Civilians in America’s Wars (New York: Oxford.2011). 25 Hanley and Hyung-Jin Kim, “Korea Bloodbath Probe Ends; US Escapes Much Blame.” The Associated Press (Seoul), 11 July 2010.